YMCA leaders and young people will gather in the city where it all began back in 1844. 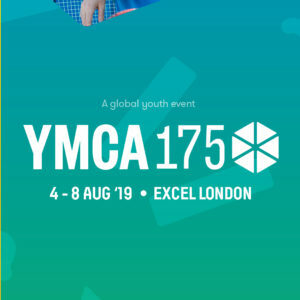 London will be home to YMCA175, a landmark event that will see YMCA young leaders assemble for a monumental and historical event. London’s premier exhibition centre, Excel which will house the event that is organised by YMCA Europe, hosted by YMCA England & Wales and supported by other YMCA movements including World YMCA. YMCA North Staffordshire aims to expose its young leaders to this event that will showcase the wider YMCA movement, its rich history, and to provide a platform to be inspired, share stories and to create networks that will connect YMCA North Staffordshire and Stoke across the globe. Connect. Young People to learn, share and take action. Create. Provide a platform where young people create a positive change and shape the future as global leaders. YMCA operates in over 119 countries and has an annual global reach of 65 million people.